"The Tempest" is once again back on YouTube! 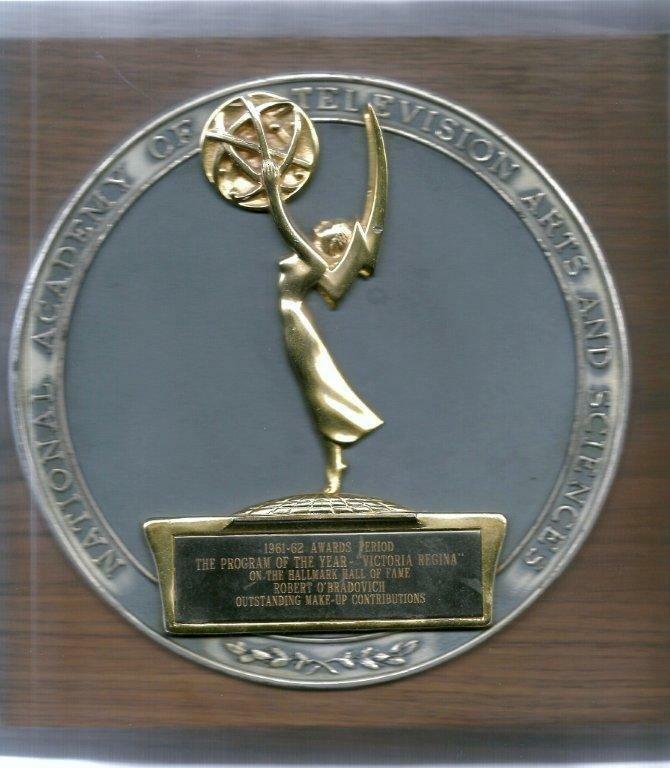 If you're a fan of the Golden Age of Television, then you know how difficult it is to find copies, prints and streams of those fabulous shows. Save for a trip to the amazing Paley Center, you're only hope sometimes is YouTube. I have seen it over there through the years, but never for very long. It's a wonderful adaptation starring Richard Burton, Roddy McDowall, Lee Remick and Tom Poston. Dad did the intricate makeup design for Caliban (Burton) and Ariel (McDowall). 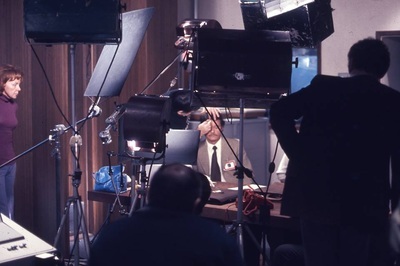 First broadcast on February 3, 1960, it's a lavish production for a made for TV special. 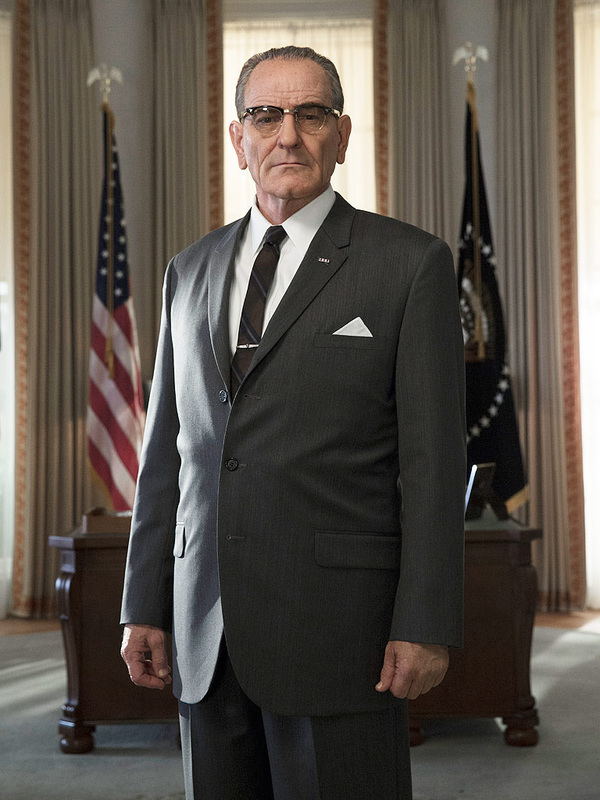 There are pictures going around of Bryan Cranston made up as LBJ for the upcoming HBO biopic "All the Way." 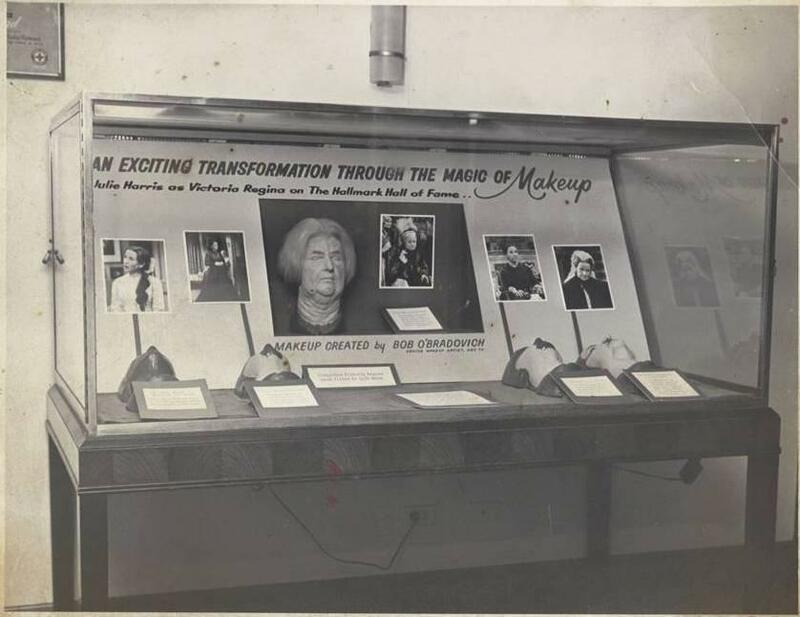 The makeup transformation by Bill Corso is pretty uncanny, but it got me to thinking about an equally uncanny transformation done by Dad sometime in the late 60s. 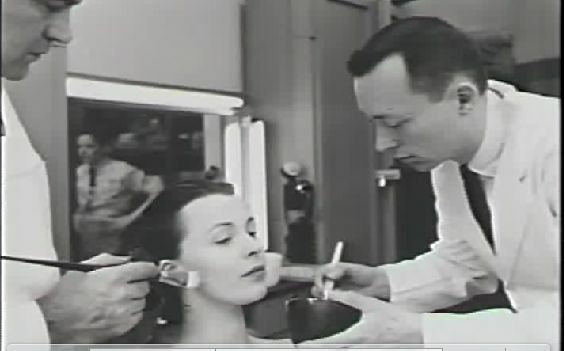 Details are sketchy, but he once told me that he did LBJ's makeup for some appearances and LBJ lived up to his "I don't give a damn what people think" attitude with spectacular results, including peeing right in front of my Dad. 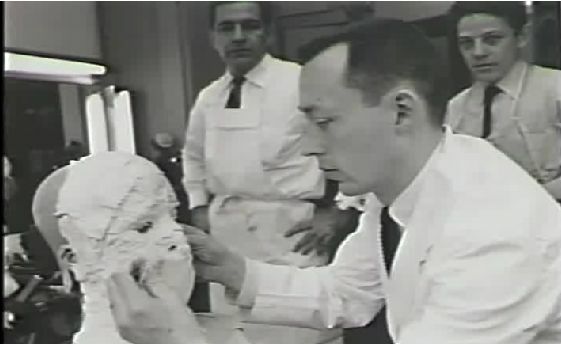 But aside from that, he used to create makeup transformations all the time using his face as his canvas. 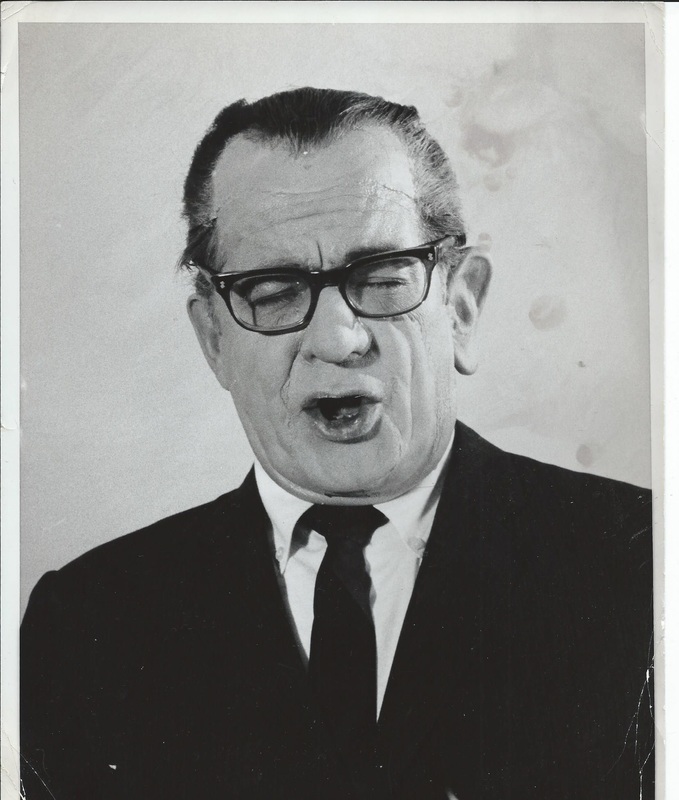 Below is a shot of Dad as LBJ and Bryan Cranston as LBJ. I'd say both are equally amazing, but I may be biased.. In 1976, CBS aired a critically praised Walt Whitman biography named after one of Whitman's best-known poems. "Song of Myself" was a short film presented under the auspices of "The American Parade," which presented a series of programs about prominent American figures around the Bicentennial celebration. Rip Torn played Whitman, and Dad was hired to do the complicated aging makeup, always an O'Bradovich specialty. Torn was impressive and the program was well received. 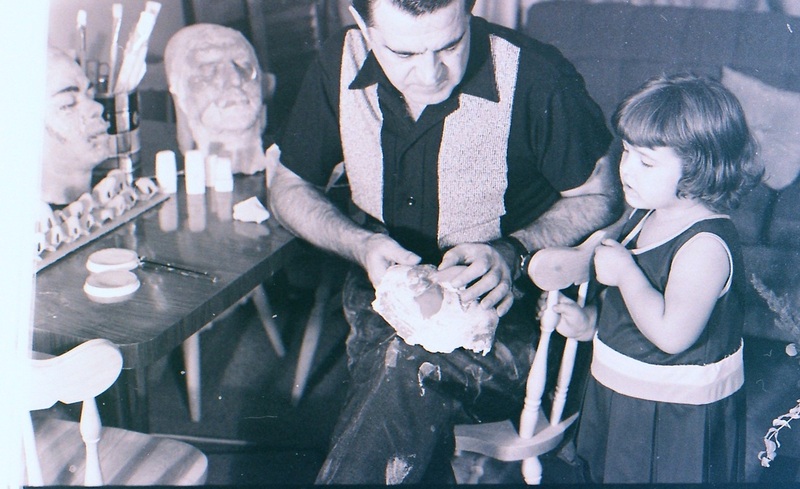 It was one among many pleasurable small projects that gave Dad his professional fulfillment. Torn and he became friends after the production ended. And, on a side note: a friend recently told me that he attended a Rip Torn retrospective in which the actor presented his favorite TV and movie performances. Among them? "Song of Myself." 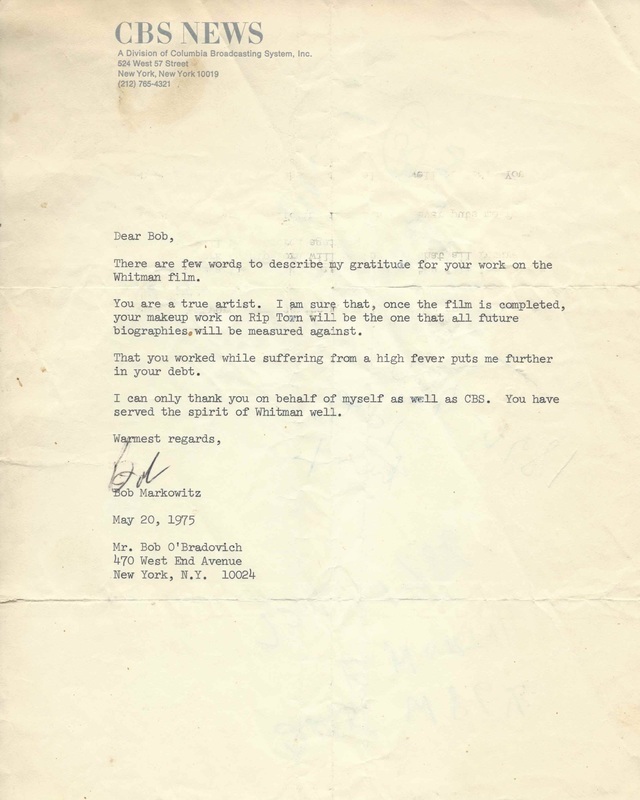 Here is a clip from the special and from the O'Bradovich archives: a letter of effusive thanks from director Robert Markowitz. All month long, TCM is spotlighting the films of Robert Redford, and tonight's movie "Three Days of the Condor" is one of his best. Released in 1975, it centers on New York CIA agent Joseph Turner who returns from a lunch break to find every single one of his co-workers dead. Barely escaping with his life, Turner goes on a quest to find the truth, but discovers he's the next target. Taut and tension-filled, "Three Days" luxuriates in paranoid conspiracy and gritty New York City realism. While America was still recovering from Watergate and trust in the government was at an all time low, NYC was facing a financial crisis that threatened its very solvency. 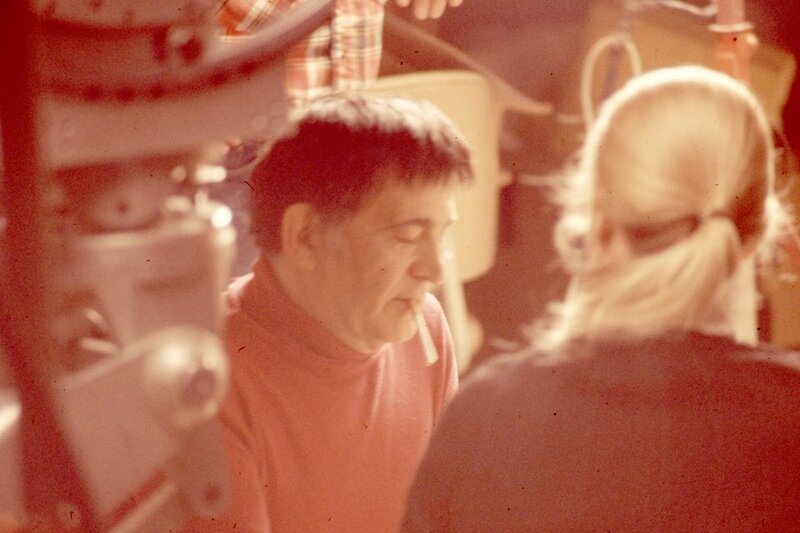 Fans of 1970s New York City will lap up the location scenes, shot all around the city. As key makeup artist, my father was responsible for the special effects makeup, including the memorable shootout in the alley of the Ansonia hotel (now a residential building) on 74th street and Broadway. A longtime resident of the Upper West Side of Manhattan himself, my father often remarked that traveling to the set was a breeze. 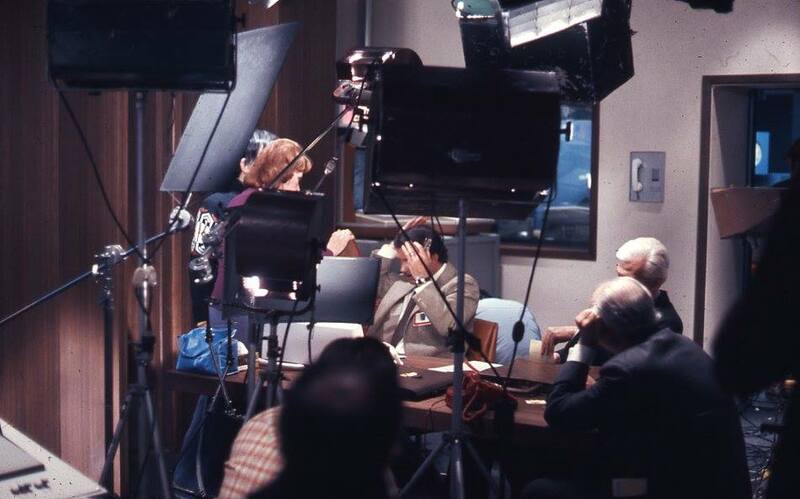 Unfortunately, I have no pictures of him working on the gunshot, but I have a few photos of him on the set and with Cliff Robertson (courtesy of Ira Gallen, who worked on the crew and graciously shared these rare gems with me) along with some of my own screen caps. Be sure to watch tonight! One of the joys of growing up with a makeup artist for a father is that I sometimes got myself involved in the mix. Here is a scene from the living room where Dad was busy mixing his potions and I was being a curious five year old. 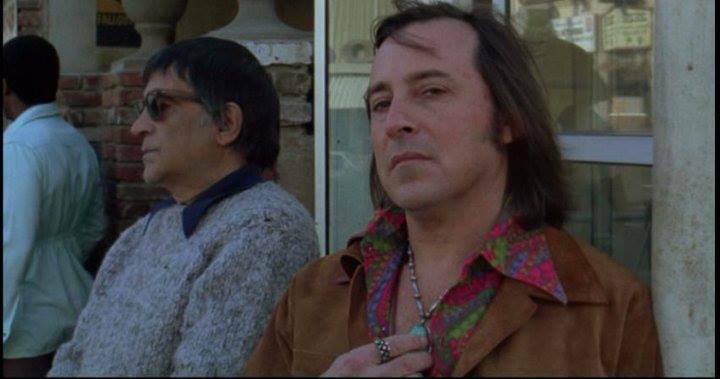 My father and Mazursky in a cameo from "Harry and Tonto."